Erasoft Customer Relationship Management (CRM) is a program that provides the tools and capabilities needed to maintain the relationship with customers before and after sales. Erasoft CRM manages sales leads, accounts information, adds and organizes contacts, and automate schedule meetings. Erasoft CRM help your sales team work more effectively and can create a sale faster. Erasoft CRM also have the capabilities managing marketing Campaign and therefore increase sales activities. With Erasoft CRM, a company can increase its quality of service and create an impression to the customers that they are given personalized services, and consequently it will gain customers loyalty. Erasoft CRM are easy-to-use, Web-based, and available on a subscription basis. 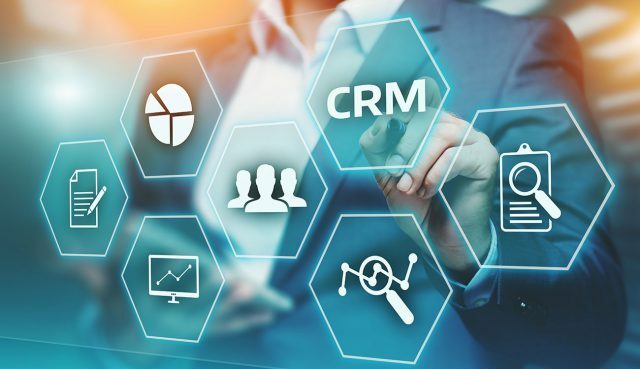 With Erasoft CRM, organizations can act immediately to improve sales, service, and marketing effectiveness – while still keeping strategic options open and without compromising cost-effectiveness or user adoption. Align marketing processes and drive customer demand usiong functionality for marketing resource management, segment & list management, campaign management, lead management, trade promotion management, and marketing analytics. Quickly deploy marketing functionally in an on-demand model and transition to Erasoft CRM as business needs evolve. Maintain focus on productive activity to acquire & grow profitable relationships through extensive selling funcitonality that supports the management of sales planning and accounts and contacts, opportunitiesm quotations, orders, contracts. Deploy sales management functionaly in an on-demand model and transition to Erasoft CRM as business need evolve. Drive service revenue and profitability with support for service sales and marketing, service contract managemen, field service, e-service, and channel service. Maximize customer loyalty, reduce costs, and boost revenue by transforming your interaction center into a strategic delivery channel for marketing, sales, and service efforts accros all contact channels. Activities such as telemarketing, telesales, customer service, shared services, and interaction center management are supported. Attain a more profitable and loyal indirect channel by managing partner relationships and empowering channel partners. You can improve processes for partner recruitment, channel marketing, and analytics for partners and channels.